Richard Adelman’s family-owned and operated Alfalfa Farm Winery is celebrating its 20th year of business. Anyone driving north on Interstate 95 in Topsfield has likely noticed the silos of Alfalfa Farm. Once a 600-acre dairy farm known for its award-winning golden Guernsey cows, it went out of business in the 1970s. In 1975, the owners sold 11 acres to Richard Adelman, with the agreement the land be kept agricultural. 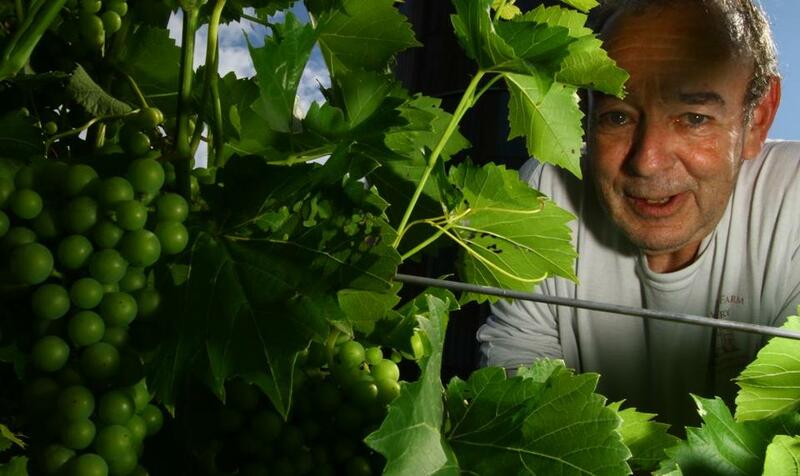 Adelman later created a winery at the farm, (alfalfafarmwinery.com), which is celebrating its 20th year as a family-owned and -operated business. We talked with Adelman, 69, who lives at the farm and teaches sociology at North Shore Community College in Danvers. A.My brother Dave, a chemical engineer and amateur winemaker, had the idea. A. We make a variety of New England-style wines from Aurore and Foch grapes grown in our vineyard, and we buy a lot of grapes. The wines include Farmhouse Red, Pinot Grigio, Seyval Blanc, and others. And there are fruit wines, including blueberry and cranberry. A.At the winery and a lot of local farmers’ markets, as well as a handful of stores. A.Between $17 and $22 a bottle. A. About 1,000 12-bottle cases a year. A. We do tours and for $6, people can come and taste different wines. Agritourism has been a big help to us. We also do a lot of functions and events, for up to 80 people. There are four different tasting areas, including an outdoor patio. Private tastings run from $27 to $43 per person. A. Open to the public 1 to 5 p.m Sundays in the summer; Saturdays and Sundays in the fall. A. Trudi Perry is the winemaker. She knows a lot about the science of it. And she’s the event planner. Family members and part-time workers. A. They help with the harvest. And there are opportunities all year to help with bottling, racking, and labeling. Volunteers are paid in wine for their services. A.I’ve tried to learn as much as I can along the way; there’s a huge amount. Between planting grapes and bottling the wine, you have to make about 2,000 decisions.